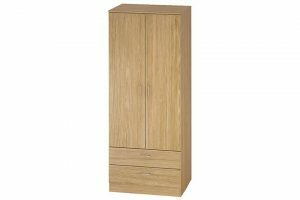 This wardrobe is made of a classic combination of hard wearing textured vinyl finish, with Bordeaux Oak effect tops and Cream Ash effect doors and drawers, to deliver timeless good looks. 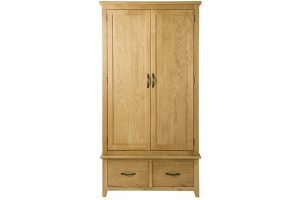 This wardrobe is made of oak with an oak veneer finish, and features two drawers, silver handles and a contemporary easy care surface, which is simply to clean with a soft damp cloth. 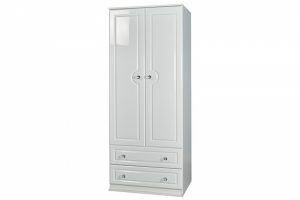 This stylish wardrobe is made of MDF and the white gloss finish and crystal effect handles are a perfect combination giving a clean and crisp look. 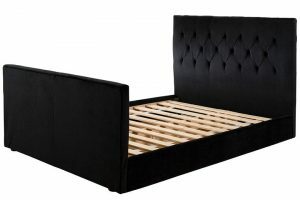 The two drawers also a include a stop safety feature. 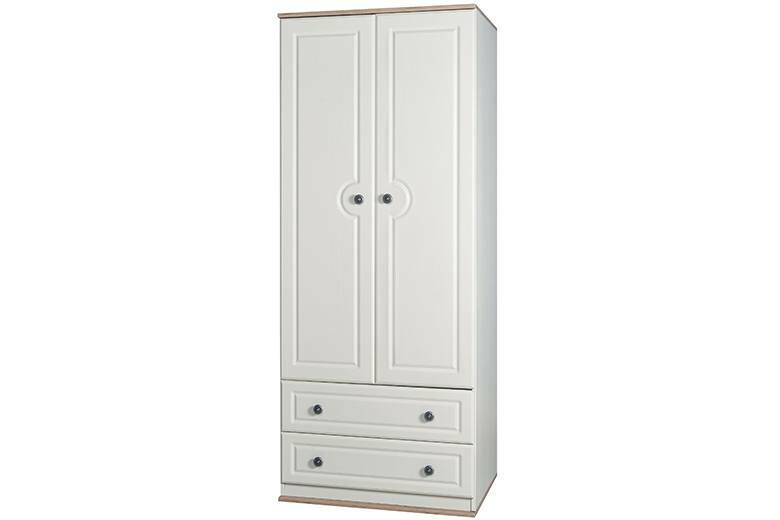 This chic two door 2 drawer wardrobe is bang on trend! 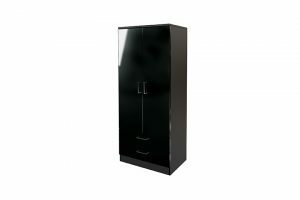 Finished in a sleek high gloss design and bright chrome handles, this wardrobe features two drawers, for extra storage. 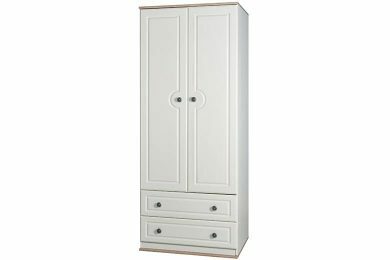 This wardrobe is made of MDF with a oak finish, and features two drawers, metal handles and a contemporary easy care surface.